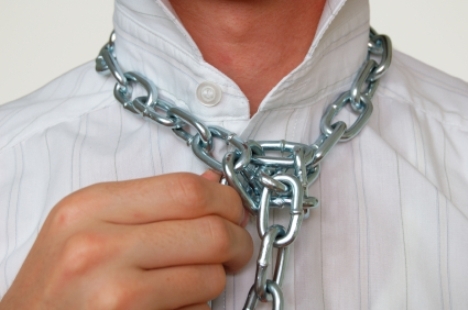 Self-enslavement? To everyone?…A good thing? After a few weeks off from studying for a new sermon, I am back at it, and I have to admit I’m a bit nervous. I almost always look forward to preaching, something that has grown on me over the years. But there are still a few Sundays that I don’t look forward to it. There was this one, for example, where the material was controversial, and I wondered if I was going to tick off people in the church. (Thankfully, in that case, I think it went very well, but, boy, was I sweating!) As I look down the road in the 1st Corinthians series, I see a few more of those coming. More on that in mid-July when we start a long sub-series through 1st Corinthians chapters 11-14 all about worship. This week though, there is a different reason for my anxiety. Once again it is the material, though not that it is controversial. Instead 1st Corinthians 9:19-27, the passage I’ll be preaching, is intense. Take a look and you’ll see what I mean. I like the passage a lot, especially because it talks about running, and running has been a exciting part of my life for the past 5 years. Paul talks about running to get a prize and the necessary training that goes into getting in shape. I started training for the Bird-in-Hand Half Marathon which is taking place on my 40th birthday, September 6th. So I get the training part. In fact, as others of you have found out, there is a joy to be found in training. But Paul has some other things to say that weird me out a bit. These are the intense parts that I referred to already. As the title of the post indicates, Paul says that one of the things he did was to practice self-enslavement to everyone. Does anyone else read that and think, “Really?” What does that mean? Self-enslavement. And why to everyone? Isn’t he going a bit far? In that passage Paul gives us a peak into his heart and mind. We will be tempted to say “Really?”, doubting him, or rationalize in other ways like “Well, that’s nice…for Paul! But not for me. He was special.” That might be fine for him, but not for the rest of us. As you prepare for worship on Sunday, I urge you to read this passage and ask the Lord to help you avoid that kind of rationalization. Ask him to help you receive his word. Believe me, I’m praying that right along with you. This passage has me quaking a bit because it describes a passion for Christ and his kingdom that puts mine to shame. I will be preaching not from a position of saying “follow me” like Paul could say. Instead I’ll be preaching this sermon to myself. One of the fears I have in a sermon like this is that it will scare people off. Paul sets the bar high. But he also talks about blessings. Is it possible that setting the bar high will lead to blessings? What I mean is this, is it possible that a life of self-enslavement to everyone might actually be better than we think? Join us on Sunday and we’ll find out. 1. Projector boxes: Our sanctuary projector is fixed! Later this week, I’ll set it back up. Think about something with me, though. The bill for the repair was $1929.57. To be honest, that number makes me a bit sick in the stomach. …Uh excuse me a second…knock at the door… Ok, I’m back and this is wild, not making this up. A representative from the Ethiopian Orthodox Church that rents our church on Saturday mornings just stopped in to drop off their regularly monthly rent check, and they included a check to pay some of the projector repair! 2. Father’s Day gift bag: We weren’t here at Faith Church on Father’s day, so I think this is a bit of what I missed. Our Children’s Ministry had a special Muffins with Moms fellowship time on Mother’s Day, then on Father’s Day they had Donuts with Dad. And I missed it! So thanks to whomever still gave me the gift bag! 3. Card made from Poop: I have no idea why this is on my desk. My wife had picked up some of these in Cambodia on one of her travels there with Imagine Goods, but that was years ago and I thought I had used up my supply. Yes, that is a picture of an elephant doing poo. 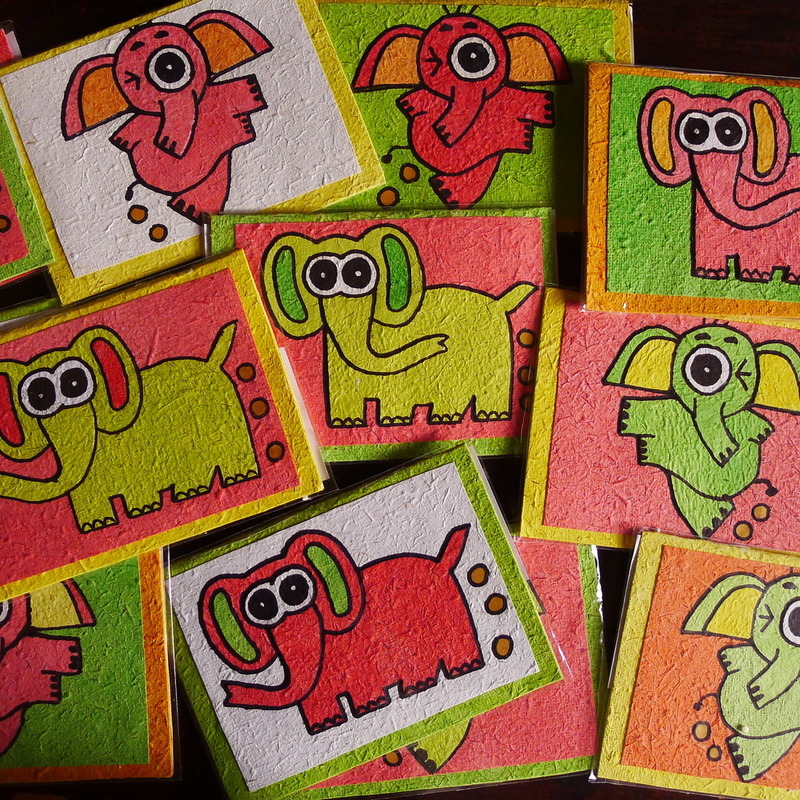 And yes, they literally take elephant poo and recycled paper and turn them into handmade cards. A label on the back of the card says “the production of the paper and cards provides employment for rural Cambodians and all income produced supports the five elephants of Phnom Tamao Wildlife Rescue Center – Lucky, Chhouk, Po, Naram & Jamran as they were kind enough to digest and produce our raw materials.” There are few things I can think of that are more awesome than that. Except maybe my all-time favorite joke, courtesy of Monty Python: What is brown and sounds like a bell? Duuuuuuuuung! 4. Christian Junk Mail: When I’m in the office, receiving the mail daily, I guess I’ve gotten used to it, a piece of junk mail here and there. But over the course of 10 days away, it became a formidable pile. Here’s a sampling of the highlights. Now its time to clean up this mess! 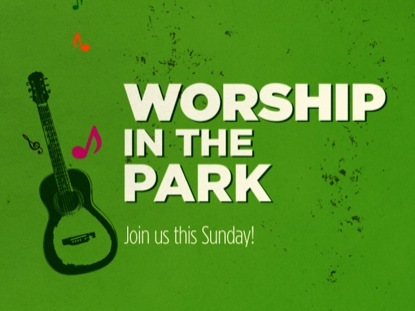 This weekend is the first of two Worship in the Park Sundays that Faith Church has been holding for the last 3-4 years, and thankfully the weather is forecast to be beautiful! We set up our worship band in the High Pavilion at East Lampeter Community Park, and enjoy worshipping God in the gorgeous surroundings of the Park. Our Township does a wonderful job keeping the park fun and attractive. So we invite all of you to join us! Added to the surroundings, our Bishop will be with us. 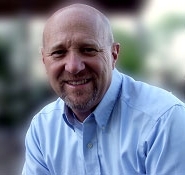 Bruce Hill has been a pastor and leader in the Evangelical Congregational Church for a number of years, and he has been our Bishop for the last three. He is a creative leader with a bold vision and a heart for God and his Kingdom. In preparation for his message on Sunday, perhaps you’ll take a few minutes and read his address to our denomination’s National Conference last week. 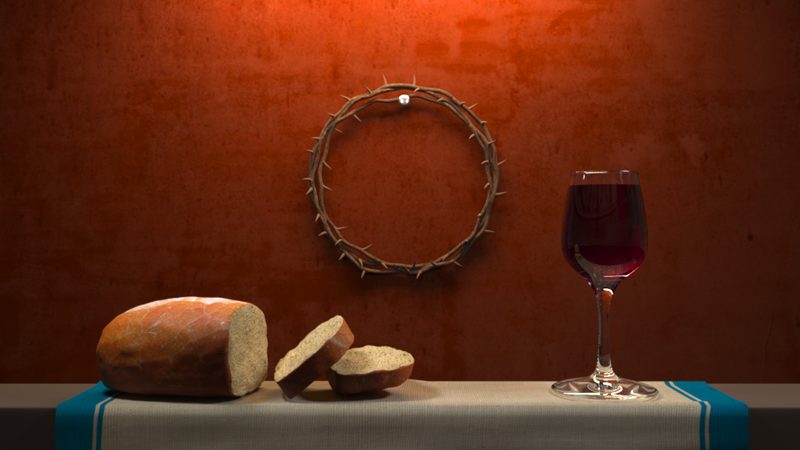 During worship in the park, we’ll also celebrate communion and take a special offering to support our missionaries. Warmer weather means not only Worship in the Park, but also summer vacation. My family will travel to Texas next, as we are looking forward to vacationing with family. That means on June 15, Phil Bartelt will be continuing our series in 1 Corinthians, and I’ll be taking a break from blogging for a few weeks. It has been a blessing to have Phil, Lisa, and their kids as members of Faith Church now for almost a year! On June 22, we have another special opportunity, the Conestoga Valley Ministerium Pulpit Exchange. Pastor Tom Eshleman of Groffdale Mennonite Church will be with us, and I will be preaching at Zion Lutheran Church of Leola. Tom has been pastor at Groffdale since September, 2009. He, his wife Jennifer, and their three children came to Groffdale in 2005 as associate/youth pastor. 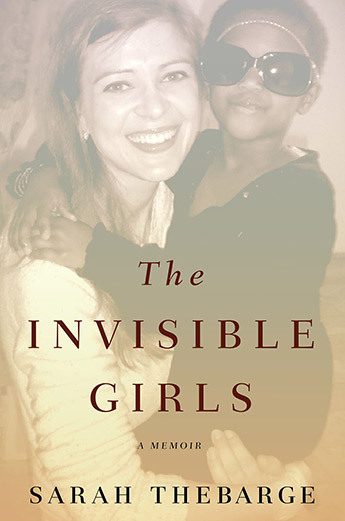 Prior to that he taught elementary school in Harrisonburg, VA. Born and raised in Lancaster, PA, he holds a BA degree from Eastern Mennonite University and a Master of Divinity degree from Eastern Mennonite Seminary. I wish I could be there to hear Tom, so I’ll have to check out the podcast! I’ve gotten to know Tom a bit through the ministerium, and I’ve come to appreciate his obvious passion for Christ. June is a busy month at Faith Church. Ballroom dance has started back up on Tuesday evenings. The Summer Lunch Program begins on the 16th, and we could still use your help volunteering for that. It’s going to be a great summer! Last week I introduced The Great Bikini Debate and Professional Weaker Brothers. I never imagined I’d be preaching a sermon which featured bikinis. But this past Sunday that’s exactly what happened. Bibles and Bikinis. Think they don’t go together? Think they shouldn’t go together? I envisioned a scenario where those two things might go together. I also envision a very disagreeable response to that scenario! So we had a great discussion about this after worship on Sunday. If you weren’t there I wish you could have been. What we talked about was how many things Christians disagree about, and what we are supposed to do when we disagree. I hope I conveyed Paul’s teaching from 1 Corinthians 8 & 10 clearly enough to give the principle that Paul teaches Christians who disagree. So what about bikinis? Should you or shouldn’t you? Won’t bikini-wearers be stumbling blocks? 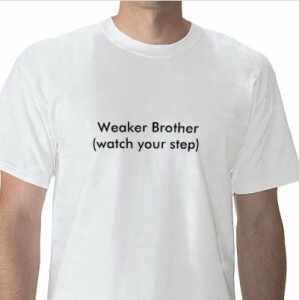 Are you a Professional Weaker Brother? Should you be? How can you change? If you’d like we can continue the discussion here. Feel free to comment below!